The purpose of MMSA’s board of directors is to advise, govern, oversee policy and direction, and assist with the leadership and general promotion of MMSA, so as to support the organizations mission and needs. Board members serve for three years, which may be renewed up to a maximum of three consecutive terms. MMSA is a 501(c)(3) nonprofit organization. Chair – Jeffery Hecker, Ph.D.
Jeffrey Hecker received his Ph.D. in clinical psychology from UMaine in 1986 after earning the B.S. degree in Psychology from the University of Illinois. He began at UMaine in 1986 as director of the Psychological Services Center, the training clinic for UMaine’s doctoral program in clinical psychology. Dr. Hecker is a clinical researcher whose work focuses on understanding and treating anxiety, and on risk assessment. He is the author of two books and scores of journal articles and presentations. A licensed clinical psychologist, Dr. Hecker has extensive experience in providing research and clinical consultation. He advanced through the academic ranks to Professor of Psychology, chairing the Department of Psychology from 2002-07. In 2008, he was named Dean of the College of Liberal Arts and Sciences. 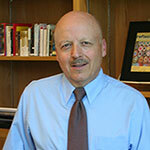 Dr. Hecker became the Executive Vice President for Academic Affairs and Provost in September 2013. As Provost, Dr. Hecker is responsible for all academic programs. He is responsible for advancing UMaine’s research and public service missions as well and believes that the university’s tripartite mission is best accomplished when student learning, creation of new knowledge, and public service are fully integrated. 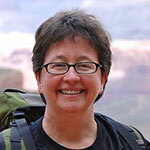 Margo Murphy is a science teacher at Camden Hills Regional High School (CHRHS), Rockport, ME. She currently teaches Global Science (an integrated freshman foundation course), AP Environmental and an elective course, Sustainable Agriculture. CHRHS serves 700 students from 6 communities. She works with an award winning student group, the Windplanners, focused on long-term sustainability. Successful projects to date include a 100kw wind turbine, 160kw solar array, full LED conversion, and reducing solid waste through extensive composting and recycling. Prior to coming to Camden Hills Regional, she taught science for 22 years at Georges Valley HS where she served as department chair, K-12 science team facilitator, HS-MLTI teacher leader, NCLB teacher quality PD coordinator, and Eisenhower/Title II coordinator. Murphy has served on numerous local and state committees. She served as chair of the National Academy of Science, Engineering and Medicine’s Teacher Advisory Council (TAC) from 2014-2017 and has served on the board since 2011. While serving, the TAC has held three convocations; “STEM Learning is Everywhere”, “Exploring Opportunities for STEM leadership” and most recently, “Enhancing the Teacher Voice in Policy Making Related to Implementation of K-12 Engineering Education”. She was a member of the Board on Science Education in the Division of Behavioral and Social Sciences and Education at the National Academies from 2004 – 2006 where she was involved with the development of “America’s Lab Report”, “Taking Science to School” and “Ready, Set, SCIENCE!” Margo also served as a 2017 STEM Teacher Ambassador for National Science Teacher’s Association. In 2003, she became a national board certified teacher in earth and space science and recertified in 2013. She received the Presidential award for Excellence in Mathematics and Science teaching in 1994 and the Presidential Innovation Award in 2013. In 2017 she received the SeaWorld Environmental Educator Award. Other awards include: Lou Lambert Outstanding Science Teacher – Maine Science Teacher Association, Outstanding Earth Science Teacher – American Geological Society, High School Conservation Teacher of the Year – State of Maine and Environmental Educator of the Year – Maine Environmental Educators Association. Margo received her B.S. in forest management in 1985, and her M.Ed. in secondary science education in 1992, both from the University of Maine, Orono. She is currently working on an advanced degree in Educational Leadership. Past Chair – Andrew Anderson, Ph.D.
Dr. Andrew Anderson is currently an emeritus professor at the University of Southern Maine. He previously served as founding dean of USM’s College of Science, Technology and Health. The college included graduate and undergraduate programs in science, mathematics, engineering, nursing, technology, and health. He also served as Associate Dean of the School of Applied Science, Engineering, and Technology, and chair of the Department of Technology. Dr. Anderson has been an active participant in several professional associations on the local and national level. Those include having served as chair of the Board of Accreditation for the Association of Technology, Management, and Applied Engineering; and chair of the Board of Directors for the Maine Mathematics and Science Alliance. Andrew earned his doctoral degree at Iowa State University and masters and undergraduate degrees from the University of Wisconsin – Platteville. He has been the recipient of the G. Harold Silvius Doctoral Fellowship Award, the National Association of Industrial Technology Region I Outstanding Professor of Industrial Technology Award, and a Laureate Citation from Epsilon Pi Tau, the international honorary for professions in technology. 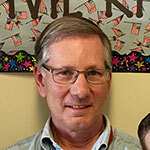 Jim Cook recently retired as elementary math specialist in MSAD #54. In that role, he oversaw aspects of instruction, curriculum, and assessment for the district’s K-6 teachers. He also worked as a self-contained 5th grade teacher, and as a math and science teacher in grades 6-8. He served for many years on the board of the Maine Science Teachers Association, and he received the Presidential Award for Excellence in Elementary Science Teaching in 1997. 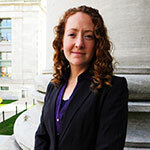 Dr. Jennifer Gagner is a native Mainer who graduated from Sanford High School and went on to attend MIT, graduating with a BS in Materials Science & Engineering and went on to receive her PhD in Materials Engineering from RPI. Her research focused on how biomaterials, and this work drew her into a post-doctoral fellowship at Harvard Medical School. She recently joined IDEXX as a Senior Research Scientist in Corporate R&D leading a small team working on new immunoassay technologies. Coming from a family of public educators, Dr. Gagner understands the importance of strong public education in all subject areas, but particularly in STEM. Throughout her career she has volunteered extensively to interest students in STEM, with a particular focus on encouraging young women considering STEM careers. Dr. Gagner participated multiple programs with these initiatives, including the MIT HKN/Microsoft Women’s Initiative Program educating 5th and 6th grade girls about engineering, and RPI’s “Design Your Future Day,” a program targeted at 11th grade women interested in pursuing STEM. For two years, she led sections in the Rensselaer Nanotechnology Curriculum Development Summer Institute, assisting high school STEM teachers in developing hands-on experiments to help students understand the science and impact of nanotechnology. 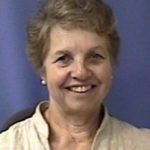 Anne recently retired from a long career in the semiconductor industry, working in Maine for Fairchild, National Semiconductor, and Texas Instruments (TI). She held several leadership positions during her work life, including serving as Human Resources Director with the 1995 project team that oversaw the construction, startup and operation of the South Portland National Semiconductor (NSC) wafer fab. She rounded out her career with a decade in Public Affairs with responsibility for Government and Community Relations with NSC and TI. Previously, Anne served on the MMSA Board and has been a member of the STEM Collaborative steering committee since its inception. She has long been involved with STEM efforts around the state including STEM Ambassadors and multiple STEM Summits. She has been an active participant in several business associations over the years. She is a past Chair of the Greater Portland Regional Chamber. She recently served on the boards of the Manufacturers Association of Maine, the Greater Portland Economic Development Corporation and the Southern Maine Community College Foundation. Todd J. Griset practices law as a partner with Preti Flaherty’s Energy and Telecommunications practice group. He helps clients make critical decisions on energy and utilities matters. Todd’s clients range from startups to Fortune 500 companies, and include developers and owners of renewable and traditional energy projects, as well as industrial and commercial energy consumers and trade associations. He advises clients on permitting and regulatory affairs, as well as transactions relating to infrastructure, manufacturing and energy assets. Todd has significant experience in commercial, regulatory and legislative settings. Combining an understanding of business and technology with the law, he advises clients on how to achieve their goals and maximize their opportunities in energy and other markets across the nation. He actively represents clients before federal and state regulatory agencies including the Federal Energy Regulatory Commission and state public utilities commissions. Todd is a frequent author and speaker on energy issues. 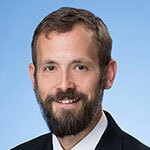 He authors the Energy Policy Update blog and has been published in a peer-reviewed law journal on renewable ocean energy. Todd holds an AB in physics and French literature from Dartmouth College, and a law degree and Masters in Environmental Studies from the University of Pennsylvania. Kevin recently retired from Fairchild Semiconductor as SVP of human resources after 34 years in the semiconductor business in a range of responsibilities. Fairchild has 9000 employees in 25 countries. 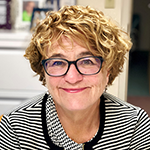 Secretary – Janet Sortor, Ph.D.
Dr. Janet Sortor is the Vice President and Dean of Academic Affairs at Southern Maine Community College, in South Portland, ME. Dr. Sortor has worked in higher education for over 30 years beginning her career in Boston, MA. She holds a doctorate in higher education administration from the University of Massachusetts; a master’s degree from Boston University; and bachelor’s degree from Eastern Michigan University. Dr. Sortor served as a Vista Volunteer in Kansas City, KA prior to graduate school, during which time she taught math to drop out and push out students from the Kansas City Schools, and developed an early awareness of the importance of math literacy and the consequences of the lack thereof. Throughout her career she has worked to strengthen math and science preparation and the general education foundation of all students as critical skills for success in STEM and technical fields. She serves on the board of the Friends of Casco Bay and MMSA. Dr. Sortor enjoys fly fishing and is an ardent cook and gardener.